In order to run an efficient and reliable container port, there need to be co-ordinated systems for certain functions in order to avoid inefficiency and duplication of process for port users. The following systems are examples of functions and activities for which common systems are used at Kwai Tsing Port. Millions of containers are handled by container terminal operators at Kwai Tsing port. To handle this volume, the container terminal operators have in place their own separate terminal management systems, specially designed for their individual operating environment in Hong Kong. A terminal management system integrates terminal activities including gate, yard and vessel operations. The system provides optimization of operation parameters, a common data base for terminal operations and a real-time updating of the data together with a real-time monitoring system. The discharging and loading of vessels are planned and optimised by a ship planning system, to ensure both efficiency in container handling and ship storage at all times. Similarly, yard planning is performed via sophisticated computer systems to ensure smooth operating procedures in container yard. With the introduction of Information Exchange Services and tractor booking systems, the gatehouse operations are automated at Kwai Tsing Port. The gate operations are further enhanced by the launch of common smart-card based tractor identity cards (TID) for external tractors. 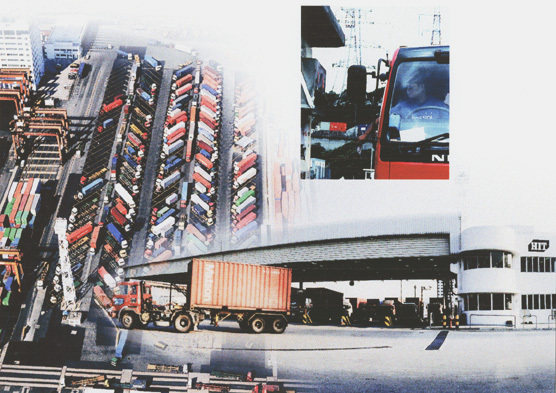 The common card system avoids the need for five separate cards to be given to each tractor drivers in order to enter the five separate terminals. Now, transactions for external tractors are paperless. This greatly reduces the turnaround time for tractors. 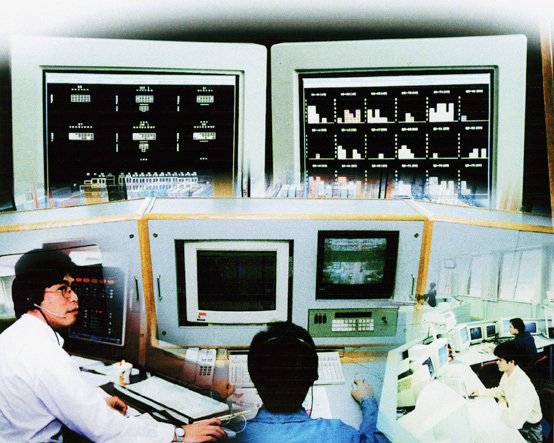 Hong Kong container terminal operators have been using Electronic Data Interchange (EDI) since 1988. EDI enables accurate information links between shipping lines and terminal operators. The scope of EDI is being progressively extended to provide even higher level functions and greater convenience in services rendered. Hong Kong container terminal operators have been using Electronic Data Interchange (EDI) since 1988. EDI enables accurate information links between shipping lines and terminal operators. The scope of EDI is being progressively extended to provide even higher level functions and greater convenience in services rendered. Container cargo originates predominantly from the extensive production base in Southern China. Recognising the importance of barge traffic, Barge Centre was developed in 1998 to meet the growing demand. To further streamline barge operations, a Barge Identity Card system was introduced to automate the identity authentication process. The internet technology has given rise to new opportunities in future systems design. Terminal operators have long since utilized the web to exchange real time information with customers and other trade partners.